Professor and Interim Department Chair: Practice with people who have serious mental illness, issues in family substance abuse recovery, innovative alternatives to involuntary treatment, professional dissonance in social work practice. Jeremy Rinker, Ph.D. is an Assistant Professor at UNCG’s Department of Peace and Conflict Studies where he researches the intersections between narrative, violent conflict, and nonviolent conflict transformation. His work on the Ambedkar-Buddhist social movement in Maharashtra, India is a provocative approach to the connections between justice, narrative and identity. While much of Jeremy’s research has focused on the centrality of justice discourse in religiously based social change movements, Jeremy also has interest in restorative justice, political violence, and conflict intervention practices, as well as, trauma, memory, and reconciliation. Having previously taught at DePauw University and Guilford College, Jeremy brings a passion for liberal arts education and critical thinking to his teaching and research. Jeremy was a 2013 Fulbright Fellow at the Malaviya Center for Peace Research at Banaras Hindu University in Banaras, India. He also has experience in non-governmental organizations working in international development, humanitarian aid, and restorative justice. Jeremy has served as the Director of a conflict resolution practice clinic on Guilford College’s campus and has extensive training experience in mediation and community conferencing and community dialogue models. 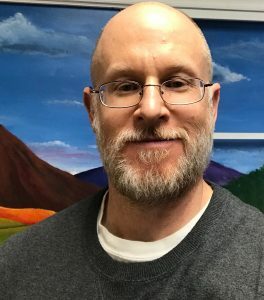 Jeremy first began teaching as a Peace Corps volunteer (’95-’97) in Kyzl-orda, Kazakhstan and remains committed to exploring the complex pedagogies and erasures associated with social conflicts over issues of cultural and justice. Office Hours: Tuesdays 1-2 PM; Wednesdays 3-4 PM, or by appointment. In person or via Google Hangouts. 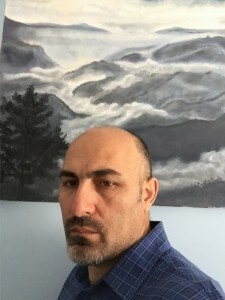 An Assistant Professor in the Department of Peace and Conflict Studies at UNCG since 2013, Ali Askerov previously taught peace studies, international relations, political history, public international law, and political ideas and ideologies at the University of Winnipeg, University of Manitoba, and University of Regina. He is a recipient of several prestigious fellowships offered by the US Department of State and the Open Society Foundation. His research fields include ethnic conflict, terrorism, religious studies, peace education, conflict transformation, qualitative research methods, and the history of political ideas, among others. Ali is a research fellow for the Center for New North Carolinians. He has been interviewed for various television stations regarding international conflicts, terrorism, and national security issues. Ali’s present research includes ongoing refugee issues, contending interests of Russia and Turkey in Syria, the collusion of legitimate and covert politics in the Middle East, international terrorism, and identity formation and change. 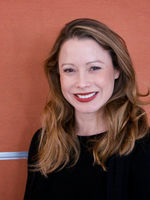 Emily M. Janke, Ph.D. is director of the Institute for Community and Economic Engagement (ICEE) and an associate professor in the Peace and Conflict Studies department. As the Director of ICEE, Emily leads and supports initiatives that encourage, support, elevate, and amplify faculty, staff, student, and community colleague community-engaged teaching, learning, research, creative activity, and service in ways that promote the strategic goals of the university, address pressing issues in the Piedmont Triad and serve the public good of communities across the state, nation, and world. An important aspect of this role is connecting and convening community-engaged scholars within and beyond the university to focus on community-identified priorities through partnership. Emily’s scholar-administrative work addresses multiple aspects of community engagement focused on community-university partnerships, and institutional culture and change strategies. In particular, she focuses on tracking and measuring community engagement and public service within and across institutions of higher education; the recognition of community-engaged scholarship in reappointment, promotion and tenure policies; the role of conflict management and transformation in community-university partnerships; institutional support for community engagement; innovations in scholarly communications; and reciprocity, collaborative communication, and restorative practices as aspects of high quality, ethical community engagement. Along with Barbara Holland and Kristin Medlin, Emily is an author of Collaboratory®, a publicly searchable, online database (licensed to TreeTop Commons, LLC) that shares an institutional story about who, what, where, with whom, and to what ends community-university partners are working towards community-identified priorities for shared learning and mutual benefits. Marcia Rosalie Hale, PhD is an Assistant Professor in the Department of Peace and Conflict Studies at UNCG, bringing a love of research, teaching and practice to this position. Marcia seeks to understand complex systems and to guide social change toward positive peace by addressing injustice and social brutalities – essentially asking the question: How do we live together better? She is especially interested in how cities can serve as agents of global human security. A background in international development and urban studies grounds her analyses in natural resources with emphasis on cities within the Mediterranean climate region and issues around global environmental change, water, and environmental justice. Marcia is currently exploring the dynamics and healing of trauma, with interest in building findings into our social, political, economic and resource systems. 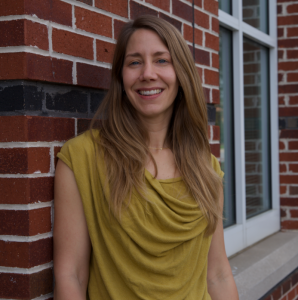 Her ongoing research is concerned with public water and nonviolent movement-building in Cape Town, South Africa, and migration in Barcelona, Spain, as well as environmental justice issues in North Carolina. Having recently relocated from Los Angeles, Marcia has history as a practicing mediator in both restorative justice and family processes within communities across the southern California region. Joe Cole is an AP Assistant Professor in the Department of Peace and Conflict Studies at the University of North Carolina at Greensboro. Joe has a Ph.D. in Philosophy from Duke University. His research and teaching interests include the morality of war, Just War Theory, pacifism and nonviolent social change, consensus governance, conflict transformation, racial equity and social justice, deep ecology, and sustainable community development. Joe is a trained Facilitator and supports communities and non-profit organizations in developing cooperative skills, nonviolent communication, collaborative governance, and conflict transformation. Dr. Omari L. Dyson is an AP Assistant Professor in the Department of Peace and Conflict Studies at UNCG. He is the author of The Black Panther Party and Transformative Pedagogy: Place-Based Education in Philadelphia (2014) and has published/co-published works that attend to: the Black Power Movement; enslaved resistance in film; race, power and culture; and Black masculinity and fatherhood identity(-ies). 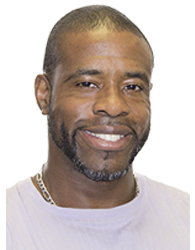 As an Interdisciplinarian, Dr. Dyson has fused his background in Curriculum & Instruction (Ph.D.-Purdue University), Child Development & Family Studies (M.S.-Purdue University), Experimental Psychology (B.S.-University of South Carolina-Columbia), and Early Childhood Education (minor) to understand the impact that conflict, multi-systemic, social inequity, and unmet needs has on the healthy development of social beings. Therefore, he plays close attention to the importance that love+power, humanism, reflection, caring, and voice has on social transformation. As a community servant, Dr. Dyson has dedicated himself to serving various communities in his quest to combat child and adult obesity through critical health education, policy reform, and health and wellness. He believes that, “Individual Gr8tness emerges when one’s spirit, mind, and body are aligned as one.” With a commitment to uplifting the lives of others in a fun, engaging, and healthy way, he has acquired certifications and licenses as a: Group Exercise Instructor and Injury Prevention Trainer (Aerobics and Fitness Association of America); Personal Trainer and Fitness Nutrition Specialist (National Academy of Sports Medicine); Strong by Zumba Instructor; Zumbini Instructor; and Zumba Instructor (Basic Steps I, Core and Glutes, Zumba in the Circuit, Kids & Kids, Jr., Sentao, Aqua, Toning, and Gold). Santos Flores is a doctoral student in the Department of Kinesiology, a graduate research assistant with the department of Peace and Conflict Studies, an ICEE student scholar, and a Publicly Active Graduate Education (PAGE) Fellow. 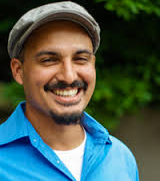 Santos’s current interest aims to advance youth developmental frameworks of embodied cultural studies, peace and critical theories, and community engagement. 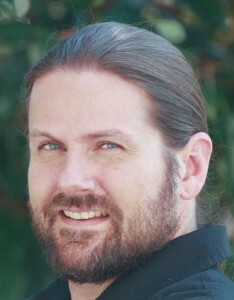 His praxis centers the Philosophy of the Body and Sports, Sociology of Body and Sports, and International Youth Sports and Peace Development with qualitative research in Brazil (Capoeira Angola), Puerto Rico (Post natural disaster development), and New Zealand (intersecting sports education models with Restorative practices). Visit these websites or sign up for list-serves for relevant jobs in our field.